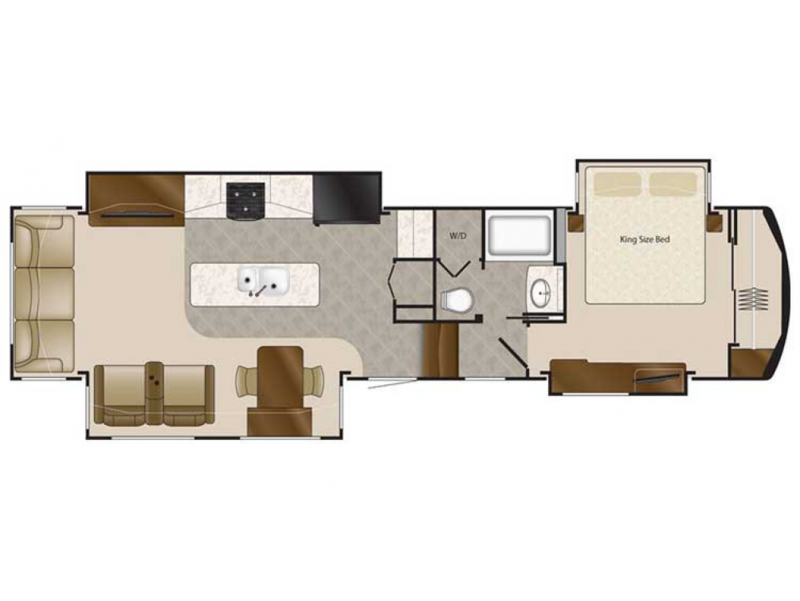 Feel at home wherever you go with the 2020 DRV Suites Mobile Suites 38RSSA 5th Wheel! All Seasons RV is one of the largest RV dealerships in Michigan. We have been for years. That's because we're rated #1 in customer satisfaction, with fast, easy financing, and a courteous, professional, and knowledgeable staff! We've got an unbelievable inventory of all the top RV brands and models at prices that will amaze you! So stop in and see us today at 4701 Airline Rd Muskegon Michigan 49444 and let us show you how easily you can own your dream RV! Even if you don't live in Muskegon or Michigan, our fast, reliable door-to-door delivery service means you can visit us online, pick out your perfect RV, and see it in your driveway tomorrow! Give us a call at 231-739-5269 and make your RV dream come true! This RV is a spacious 39' 1" length, its 8' 5" width, and the 4 power slides that maximize the living area inside! And when the weather isn't cooperating, no one will mind because the efficient 40000 BTU furnace will keep them warm on the cold days, just as they'll stay cool and comfy on hot days thanks to the modern 15000 BTU a/c unit! There's plenty of comfy furniture inside, with enough sleeping space for up to 4 people! Inside the master bedroom there is a comfortable King bed.